Register HERE; This event is ages 21 and up, and exclusive to Navy Yard employees-only. Sorry - no dogs, no children, and no one under 21 years old will be permitted in the event. You must bring a photo ID to the event. One ticket per person. 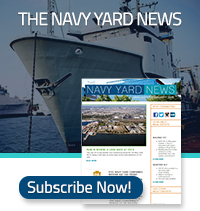 You must register with your company email to verify Navy Yard employment. Based on availability, guest tickets can be requested starting Wednesday, May 30, 2019 at 8:00 AM.